Known worldwide as the home of the famous fictional character Anne of Green Gables, Prince Edward Island is one of the maritime provinces in eastern Canada. 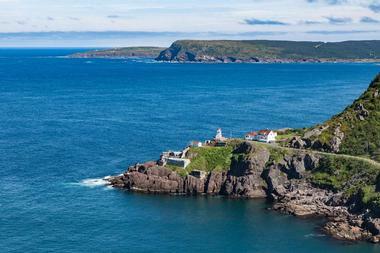 The entire island is seemingly always ready for the camera: The inland is covered by rolling patchwork fields in every shade of green imaginable, while the coast is dotted with dramatic red cliffs, sandy golden beaches, and charming seaside villages inhabited by some of the friendliest people in Canada. 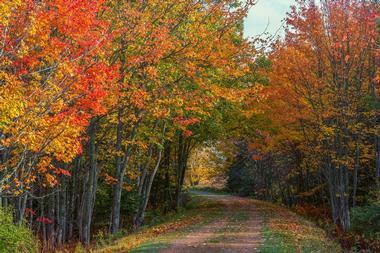 Most visitors to P.E.I can't help but be drawn into the island's leisurely lifestyle, but here are the best things to do once you've finished relaxing! 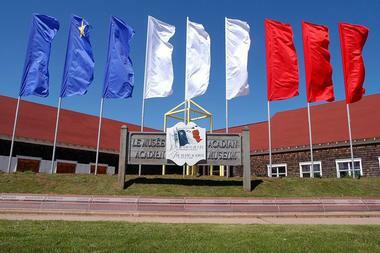 Open since 1954, the Acadian Museum is full of treasures and artifacts that tell the story of the Acadians of P.E.I. The permanent exhibits walk visitors through Acadian history from 1720 until the present day, while temporary exhibits cover various aspects of Acadian life throughout the years. The outdoor Heritage Trail is a great place to take a walk, and other museum features include a gift shop, a research center, and an excellent collection of paintings in the Galerie Claude Picard. 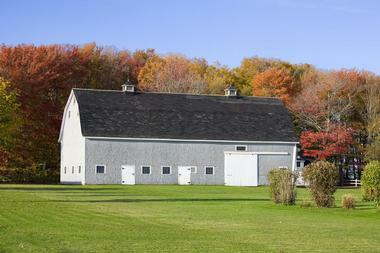 The museum is open all throughout the year, although hours vary according to the season. 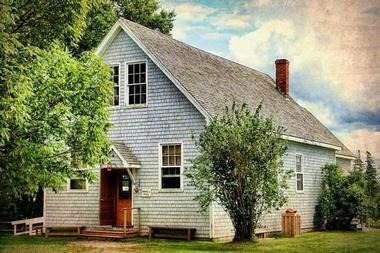 Dedicated to the life and works of L. M. Montgomery, the author of Anne of Green Gables, the Anne of Green Gables Museum at Silver Bush is located on the Campbell family homestead. Built by the author's aunt and uncle in 1872, the charming home inspired Montgomery to write her famous novels and actually served as the setting for the novel Anne's Lake of Shining Waters. The cottage houses a unique collection of memorabilia that can be viewed by way of a self-guided tour, and visitors can also stroll through the beautiful gardens or take a carriage ride around the 110-acre property. 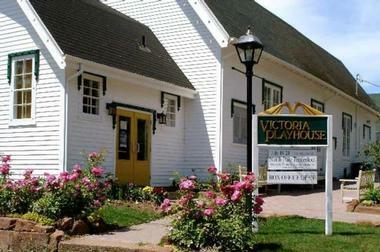 Prince Edward Island is full of unique cultural attractions, and the Art & Heritage Trail is one of the best possible ways to experience and understand the island's culture for yourself. The trail crosses the entire province and includes an incredibly wide variety of attractions, including artisan studios, museums and historic sites, art galleries, historic architecture and buildings, hands-on experiences, and performing art venues that offer both live music and theater performances. Visitors are encouraged to create their own personalized itineraries that match their interests, and both physical and electronic copies of the trail guide are available on the Arts & Heritage website. 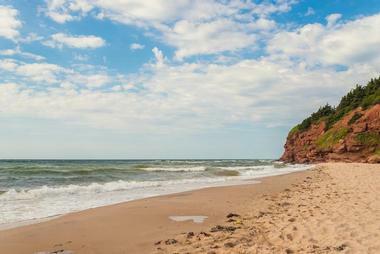 Basin Head Beach is part of Basin Head Provincial Park, and located just off Route 16, it's one of the best stops on the way to the easternmost tip of P.E.I. The beach is particularly famous for its "singing sands," which squeak when you walk on them, but it's a beautiful beach in its own right. The white sand is perfectly suited to relaxing or building sand castles, and the water is warm enough to swim in during the summer months. The beach is supervised during peak times, and amenities include a public washroom with showers, a children's play area, and a canteen. 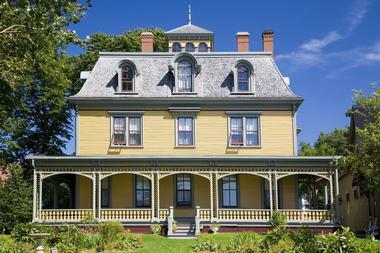 Designed and constructed by architect W.C. Harris, the Beaconsfield Historic House dates back to 1877 and is one of the most elegant historic homes in Charlottetown. The home still retains many of its original features, including conveniences that were seen as cutting-edge technology when the house was first built. In addition to guided tours, the property often hosts lectures, concerts, and a range of both private and public special events. Hours of operation vary according to the season, but the museum is open all year round and the staff are happy to arrange tours by appointment outside of opening hours. The potato is much more than a simple tuber, and the Canadian Potato Museum & Antique Farm Machinery Museum stands as a unique testament to this incredible food and the farmers who have grown it throughout history. 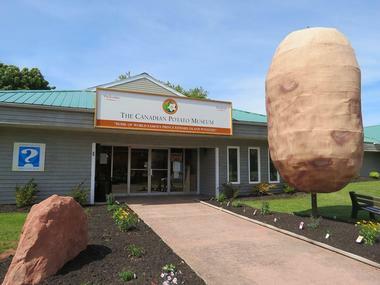 Visitors to the museum will be greeted by the world's largest potato sculpture, and once inside they'll have the opportunity to learn about the history and the culture of the potato through an excellent collection of displays. Tours are available if reserved in advance, and visitors are invited to try a bite of potato fudge or another delicious potato dish at the on-site restaurant. 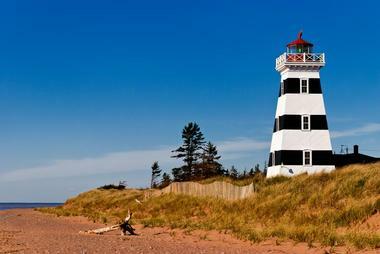 Spectacular views are the norm on Prince Edward Island, and one of the best ways to experience these views is by taking a trip along the Central Coastal Drive. 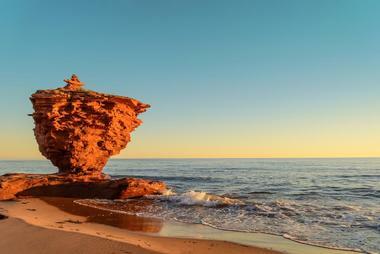 The 253-kilometer road begins in Charlottetown and loops around the central region of the province, allowing visitors to explore everything from the sandstone cliffs and rolling pastures of the southern Red Sands Shore to the beautiful beaches and walking trails along the Green Gables Shore. It's possible to do the entire drive in one day, but visitors who have more time can easily spend several days visiting the many attractions along the road. If you're interested in experiencing genuine P.E.I farm life, Chore Time is a unique, hands-on attraction offered at Hope River Farm. The farm is home to animals like sheep, pigs, chickens, and rabbits that live outdoors in the pastures, and guests will be given the opportunity to help with activities like feeding the animals and moving their pens around. Chore Time takes place twice a day at 9:00am and 6:00pm. Visitors are asked to make bookings at least a day in advance and to wear clothing that they don't mind getting dirty. Occupying an entire block in the heart of Charlottetown, the Confederation Centre of the Arts is a must-see destination for anyone interested in the cultural and performing arts. The center is dedicated to showcasing works of art created by Canadians, and it also serves as the country's official memorial to the Fathers of Confederation. Highlights include a realistic replica of the original Confederation Chamber, an art gallery full of both historical artifacts and contemporary artwork, and five theaters that regularly hold excellent live performances. Visitors are also welcome to shop at the gift store or enjoy a meal at the restaurant. 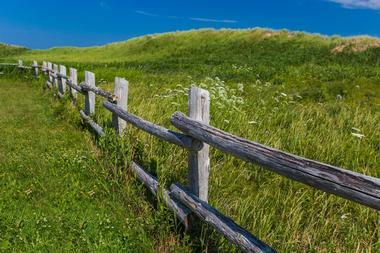 Stretching 435 kilometers across the province, the Confederation Trail was built along the rail tracks after the P.E.I. railway was abandoned in 1989. Walkers, runners, and cyclists are welcome to use the trail during the summer, and it serves as a popular snowmobile trail during the winter. The trail is also a prime destination for geocaching enthusiasts, and more than 1,600 geocaching sites are hidden along the route. The gradient of the trail never exceeds 2%, making it suitable for people of most ages and fitness levels, and a selection of accommodation, food outlets, and other services can be found along the trail. A trip to P.E.I. 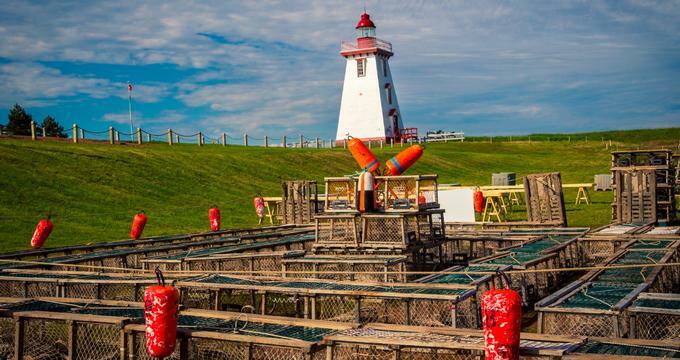 wouldn't be complete without spending some time on the water, and the Fiddling Fisherman offers the opportunity to learn about the province's traditional music and fishing industry while sailing along beside the red cliffs of the island's coastline. 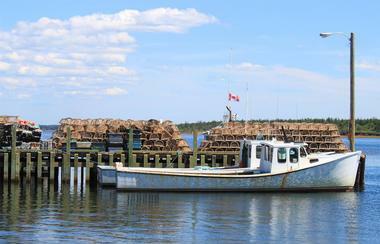 Captain J. J. Chaisson is a world-class entertainer and multi-instrumentalist, and visitors who hop on his lobster fishing boat Chaisson A Dream will be given a true taste of P.E.I. culture. Guests can choose between a musical tour with song and dance and a special lobster dinner, and customized group tours can be arranged upon request. Held at the Village Musical Acadien in Abram-Village, Frolic Fricot and Fiddles is a unique experience that combines cooking classes with top-notch fiddle playing. A traditionally dressed Acadian Islander will demonstrate how to make traditional dishes like a hearty chicken soup known as fricot and a tasty fruit pastry called poutine à trou that guests will have a chance to make themselves. The class is followed by a filling lunch, and guests are then given the opportunity to explore the village and watch performances of fiddle playing and step dancing. 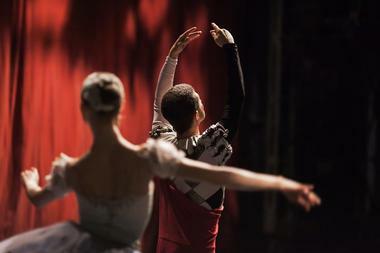 The program can only accommodate 10 guests per day, and reservations are required. Located in Prince Edward Island National Park, Green Gables Heritage Place offers the chance to step inside the world of the famous Anne of Green Gables. There are plenty of things for visitors to see and do; highlights include taking a walk down the Haunted Woods and Balsam Hollow trails featured in the books, sitting down for story time, joining in on a special Sunday picnic, and participating in a ceilidh and sing along. Guided tours and interpretive programs are offered from July 1st until Labour Day, and the site is closed during the winter season. 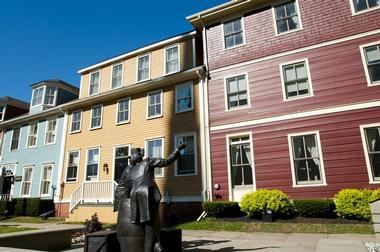 As the province's capital city, Historic Charlottetown has no shortage of historic buildings and landmark sites. Visitors can explore the streets by foot, by car, or by bicycle, but the best way to experience the beauty of the city is to take a carriage ride through the side streets of the historic city center. A must-see area is Victoria Row; the street is closed to car traffic during the summer, and it offers an excellent selection of shops and restaurants. There is also a variety of walking tours available to visitors, some of which are conducted by guides dressed in full period costume. 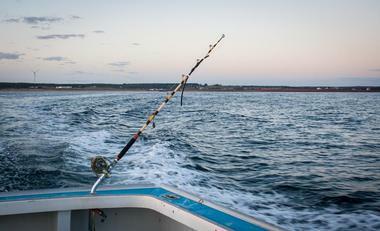 Operating out of Charlottetown Harbour, Island Boat Adventures is a boat tour company owned and operated by the experienced Captain Chancey Norton. The 42-foot Fundy Cruiser has space for up to 40 passengers, and guests can choose from a wide range of tours including lobster dinner cruises, deep sea fishing tours, clam digging experiences, and seal watching tours. 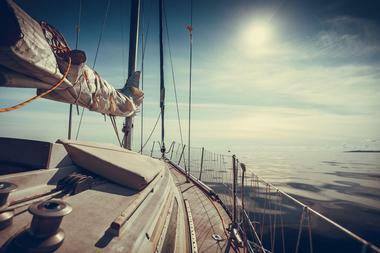 Each trip takes between 2 and 3 hours, and the boat is equipped with washroom facilities. Snacks and drinks are available for purchase onboard the ship, and reservations are recommended to secure a spot on the tour of your choice. 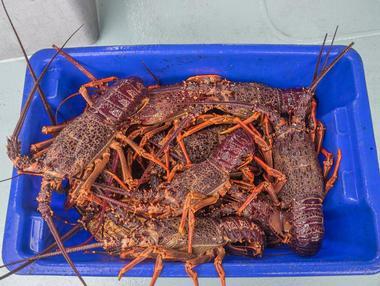 Fishermen have been catching lobsters in the water around P.E.I for generations, and a boat-to-plate lobster boil is one of the best ways in the world to enjoy this tasty delicacy. 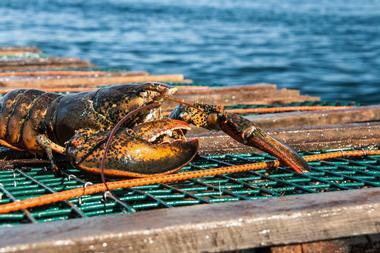 Before enjoying a fresh lobster picnic on the beach, guests will get to meet a local fisherman, tour his boat, and learn about the secrets of catching lobsters. In addition to the boiled lobster, picnics include an organic salad and a traditional wild blueberry dessert prepared with local ingredients. Tours take place between June 20th and September 30th and last between 3.5 and 4 hours. 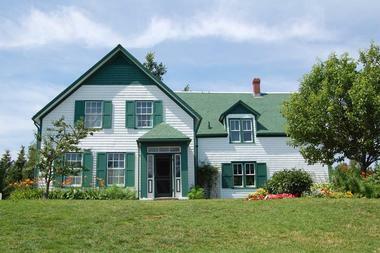 Designated a National Historic Site, the Lucy Maud Montgomery Cavendish Home was where the Anne of Green Gables author spent the first 37 years of her life. Although the house and farm buildings are no longer standing, there are a number of placards to be found around the site, offering quotes and pictures to help visitors gain a better understanding of the author's life and works. 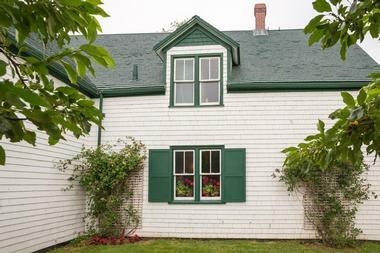 An on-site museum displays original artifacts from the homestead such as lamps, photos, and the fireplace mantel, and visitors can purchase stamped copies of their favorite Anne of Green Gables books in the bookstore. Although not as popular as some of the other driving routes on the island, the North Cape Coast Scenic Drive is a fantastic experience that should not be missed. The 350-kilometer road winds its way along the island's stunning west coast, passing through tiny traditional fishing villages and running alongside acres of fields filled with striking red soil. Although the drive was named after the North Cape, the westernmost tip of the island, the beginning of the road can be found only 20 minutes away from the Confederation Bridge in the charming city of Summerside. One of the province's seven Museum and Heritage Sites, the Orwell Corner Historic Village is a great stop on the way between Charlottetown and the ferry to Nova Scotia. The village is a fascinating recreation of a 19th century farming community; highlights include a working blacksmith shop, an old schoolhouse complete with a bonneted school teacher, and the opportunity to interact with real farm animals. Daily programs such as candle making lessons and ice cream making classes are offered during the busy summer months of July and August, and visitors are welcome to stop by the tea room to sample a delicious treat or two. 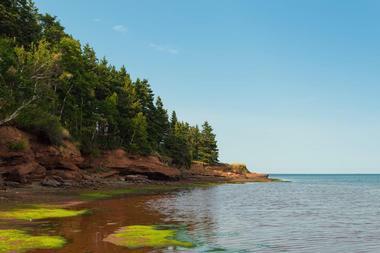 Located along the north shore of the island, Prince Edward Island National Park was established in 1937 to protect a wide range of animals and habitats including beaches, sand dunes, wetlands, and salt marshes. Some of the park's beaches provide a nesting place for the endangered piping plover, but there are also plenty of supervised beaches that are open to anyone who would like to relax, swim, or play in the sand. There are also a wide range of multi-use trails for visitors to enjoy, including the Robinson’s Island Trail System and the Gulf Shore Way. After being founded by the French in 1720 as one of the first Acadian settlements in the country, Port-la-Joye–Fort Amherst served as the island's first military fortification under both the control of France and Britain. Because of its rich history, the site was designated a National Historic Monument in 1958, and it now offers visitors a fascinating glimpse into the island's early European history. The ruins of the fort are still visible, and interpretative panels can be found throughout the site. Visitors are also free to stroll around the well-maintained grounds, which offer excellent views of the surrounding farmland and the Charlottetown Harbour. 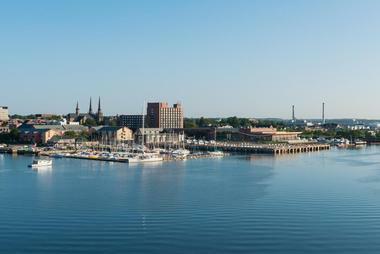 Based out of the Charlottetown Harbour, Saga Sailing Adventures offers a variety of tours onboard a 36-foot sloop known as Saga. Guests can simply kick back, enjoy the scenery, and try to spot wildlife, but they will also have the opportunity to help adjust the sails or even take the helm. The company's regular cruises take place three times a day in the morning, afternoon, and evening, but charter tours can be arranged for almost any time of day. The boat has a maximum capacity of 12 people, and catering is available for special events. Owned and operated by Perry Gotell, Tranquility Cove Adventures is a tourism company that offers everything from deep sea fishing tours to starfish hunting trips. Fishing tours come with the opportunity to spot seals and other wildlife, and most tours feature the option to have your fish barbecued right on board the boat for an unforgettable meal. Private charters and customized tours are available upon request, and the company is also proud to offer special 4-hour wedding packages out on the water. A beachside suite is available for anyone who would like to stay right on the waterfront, and guests are given discounts on activities. 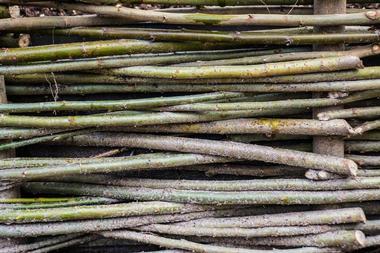 Weaving with Wood is a program offered by the Island Traditions Store, a business dedicated to preserving and sharing the traditional art of ash splint basket-making. Making baskets from ash splint takes practice and dedication, so the basic workshop gives guests the opportunity to weave a basket out of reeds from the local marshes and decorate it with your choice of bark from the island's forests. 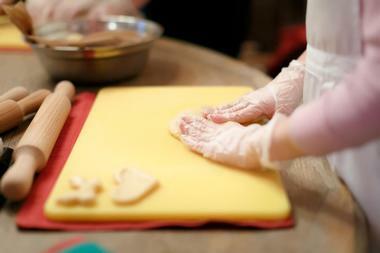 Reservations are required, and other workshops can be arranged by special request. All courses are taught by professional basket makers, and the on-site store sells works by some of the most accomplished artisans in the province. Spending the night in a lighthouse is a childhood dream for some of us, and the West Point Lighthouse Museum offers the rare opportunity to bring that dream to life. The four-star hotel located inside the striking 69-foot lighthouse offers 13 rooms, all of which offer breathtaking views of the Northumberland Strait. Some rooms also feature walk-out decks, and two rooms are located in an exclusive section of the West Point Lighthouse Museum. The museum itself boasts one of the most extensive collections of lighthouse memorabilia on the island and is only open between June and September.